The financial interests paying his way are getting their money's worth. Just click over to YouTube. 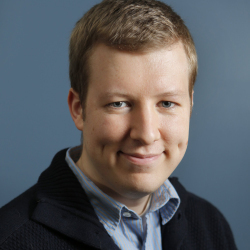 He launched his 2012 Senate campaign at a tea party event but now rejects being linked to the movement as he campaigns for a seat in the U.S. House. 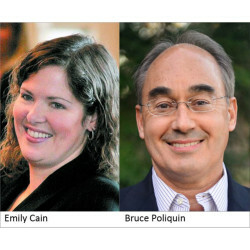 Republican Bruce Poliquin suggests returning Central American children home, while Democrat Emily Cain favors a broad legislative approach. 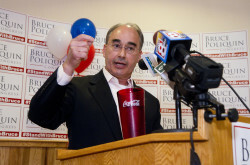 U.S. Sen. Susan Collins' political action committee kicks in $5,000, the maximum donation. Chellie Pingree has a large edge over Isaac Misiuk in District 1, and Susan Collins leads Shenna Bellows handily for U.S. Senate. 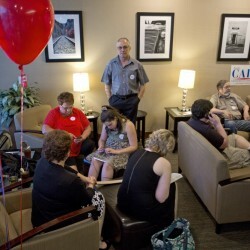 Turnout has been predictably low across the district, and candidates are filing into parties to watch results with supporters. 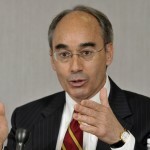 Democratic rabble-rouser Troy Jackson and tea party-backed Bruce Poliquin hope to defeat more established candidates in the primaries Tuesday. 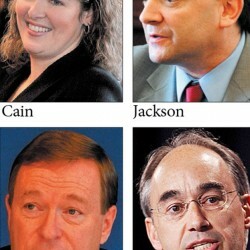 Republicans Kevin Raye and Bruce Poliquin look to be in a tighter race in the congressional primaries than Democrats Troy Jackson and Emily Cain. 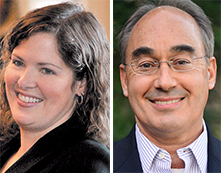 Also in District 2, Bruce Poliquin falls behind Kevin Raye in fundraising as the June 10 primary nears.